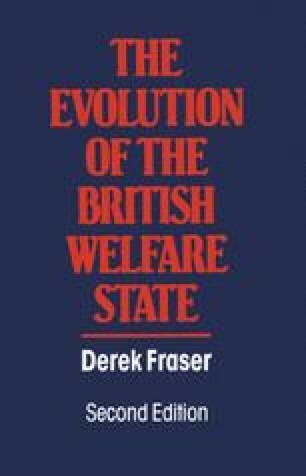 THE case studies in social policy described in previous chapters were at once a part of and a response to the social philosophy which emerged in the first half of the nineteenth century. Inevitably such an explosive social change as the Industrial Revolution was accompanied by new ideas in economic and social affairs. Men sought to understand what had happened and to find a rationale for the new society created by economic change. Industrial capitalism came to be justified by the so-called ‘political economy’ of a group of thinkers known collectively as the ‘classical economists’. The demonstration of the general principles of economic theory which explained the role of capital and free competition (the essential elements of the new society) crystallised into a laissez-faire synthesis. The nature of behaviour in human society was closely related to the economic role performed, and so ideas about the structure and function of society emerged as a social equivalent or adjunct of economic theory.